Isn't it amazing what can happen to a project you are working on when you simply put it down, take a step back, analyze it from a different perspective and then jump back into creating? I can't get over how much this can affect the final look of an item. I'm also taking a step back and taking a good look at my workspace. It definitely needs to be re-organized. It's just NOT working for me right now. I can't wait to get into my new room........my own workspace, just lovely! 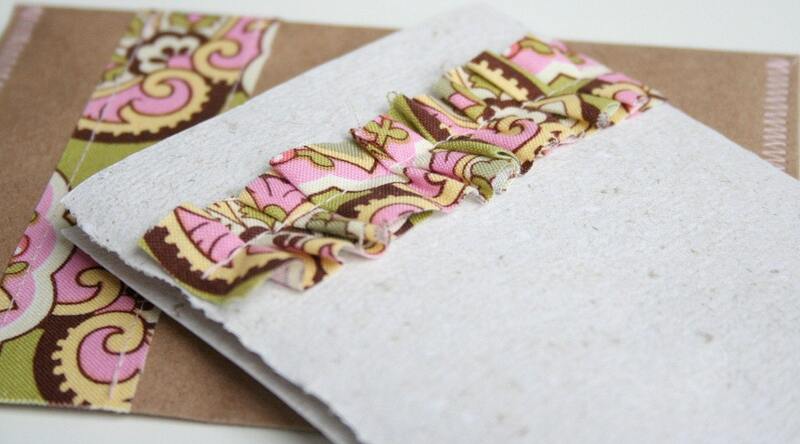 I've managed to list another fabric stationery set (seriously, they are soooo much fun to make!). This set features a flat piece of fabric on the exterior of the envelope, therefore no extra shipping is required when mailing. I've received a pack of Kraft cardstock and will start using that for envelopes (much sturdier). I've also purchased pre-made Kraft envelopes, so soon you will see different sets available. I'm contemplating using pre-made card stock as well, but am not sure if I'm going to go that route or not. It takes time to make handmade paper from start to finish, so while I'm waiting for the handmade paper to dry, I could use pre-made cardstock to make other sets. We'll see. It's still all coming together.